Available in Black, Yellow, Black/Yellow and clear. 50mm wide tape is also available in extra colours – see separate listing. 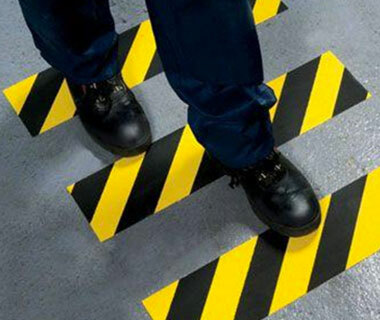 Our anti-slip tape is manufactured through a unique process ensuring its one of the most effective anti-slip surfacing available. Our tapes have a thick carrier impregnated with diamond hard aluminium oxide making it hardy, tough, durable and long lasting.The backing has a heavy coating of permanent pressure sensitive adhesive which is water resistant and ensures once its down it stays down.